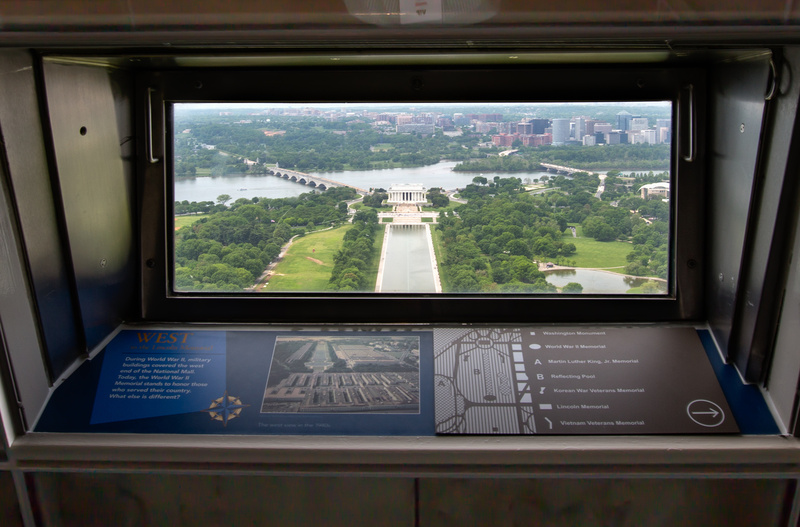 In honor of George Washington’s birthday in February, this Travel post will be about the Washington Monument located on the National Mall in Washington, D.C. 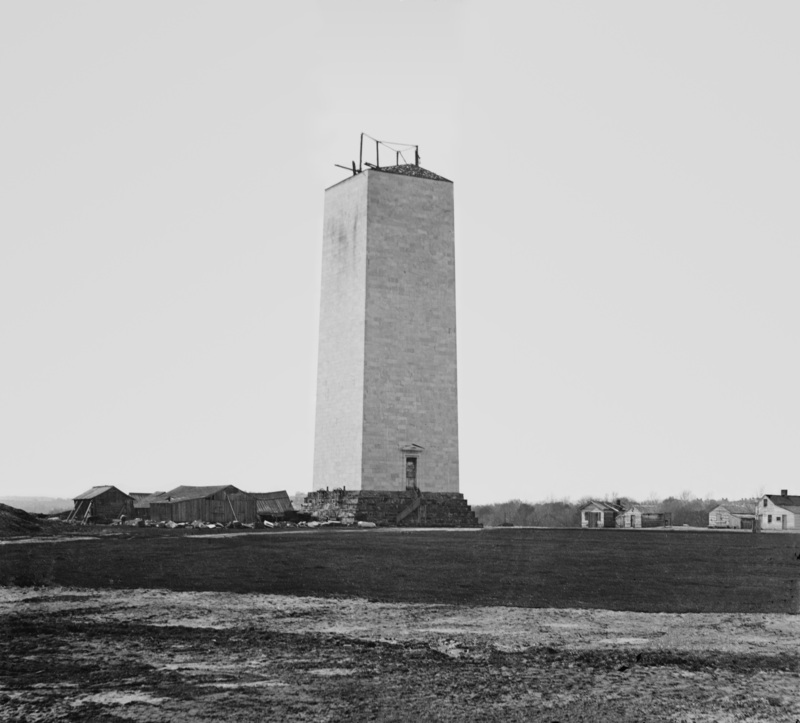 The Washington Monument was built to commemorate the first President of the United States and it measures 555 feet 5 inches tall making it the world’s tallest obelisk. 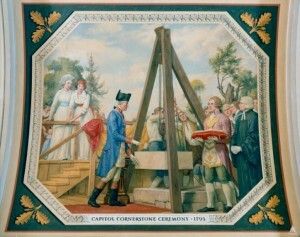 Shortly after his death in 1799, Congress authorized the building of a memorial to George Washington in the newly built national capital. The public greatly admired Washington for his military service during the American Revolution and for his political service to the newly formed country that had recently fought for their independence from Britain. 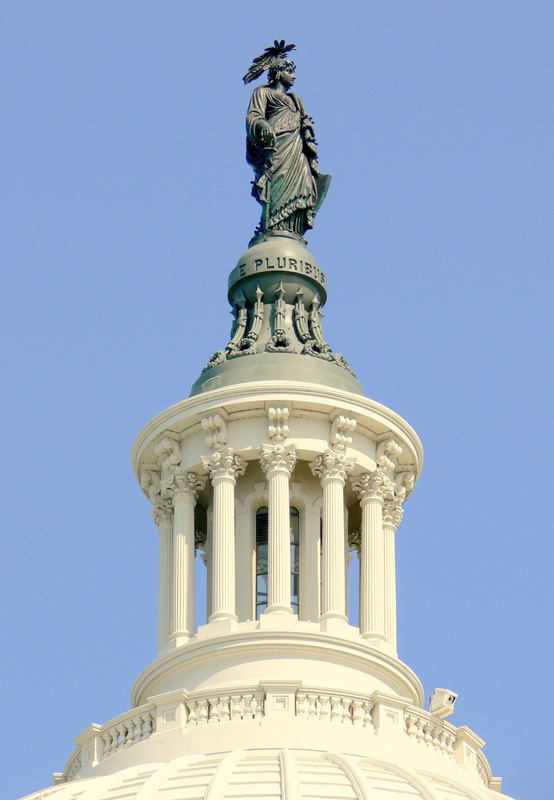 Washington was such a strong force in the Federalist Party and the Democratic-Republican Party, which had gained control of the Congress in 1801, opposed building the monument. 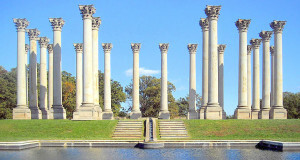 Eventually in 1832 the project started to move forward when the Washington National Monument Society was formed. By 1836 funds were raised and a design competition was announced. The architect chosen was Robert Mills and the design he proposed was an obelisk, a four sided tall pillar, with a flat top. Surrounding the structure would be a circular colonnade which would be topped with a majestic statue of Washington standing on a chariot and in addition there would be 30 more statues of Revolutionary War heroes. 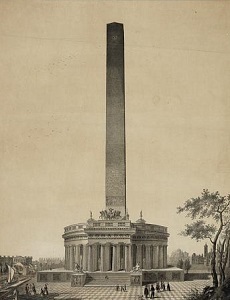 It was an ambitious plan and the elaborate memorial would be a very expensive to construct so the committee decided to start by building only the obelisk. The original site of the monument was moved when the area proved to be unstable and could not hold the weight of the finished structure. Construction on the monument started in 1848 with the laying of the cornerstone at the northeast corner of the memorial in a special Fourth of July ceremony. 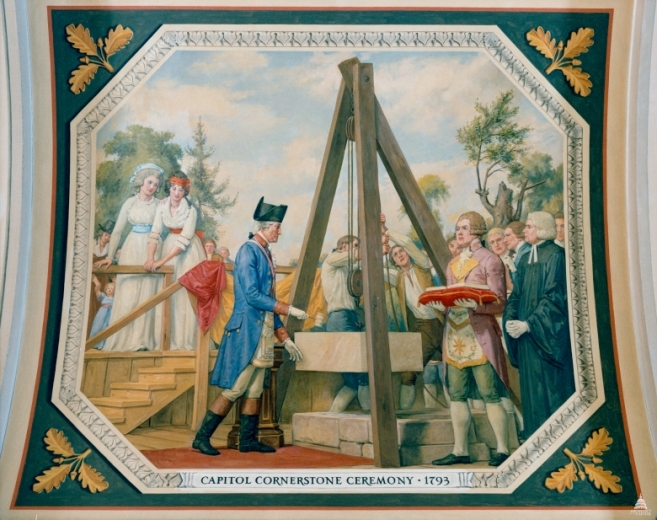 The 24,500 pound marble cornerstone measures 2.5 feet high by 6.5 feet square and was set into the foundation in a solemn ceremony using George Washington’s Masonic gavel. 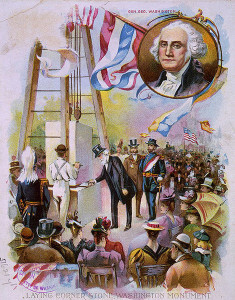 Within the cornerstone was a hole which was large enough for a zinc case that was filled with special memorabilia pertaining to both George Washington and the city of Washington, D.C. There were 73 items such as the design plans for the memorial, 71 newspapers and other publications, several sets of coins, and a bible. 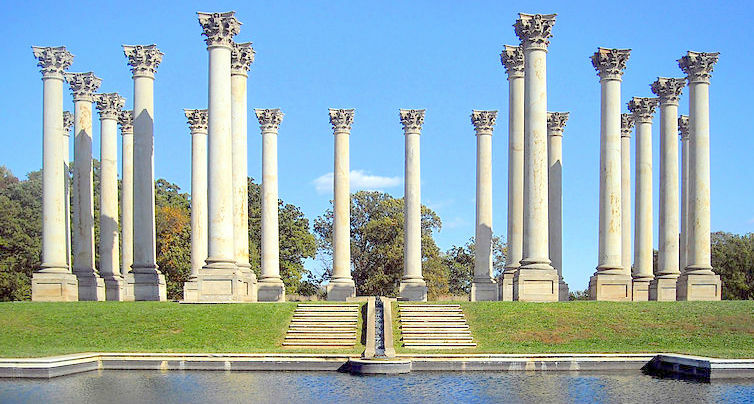 Unfortunately, the construction of the memorial came to a halt in 1854 due to problems with the committee, lack of funds and the start of the Civil War. 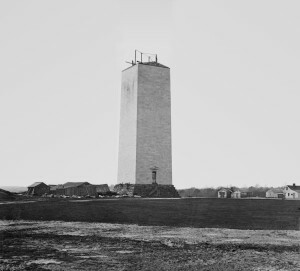 At that time the monument had only reached a height of 152 feet when the project was abandoned for the next few years. 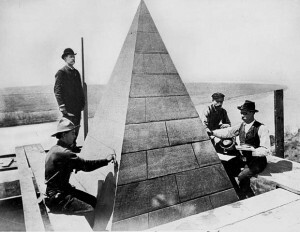 When construction resumed after the war, there was a distinctive difference in the shading of the marble of the obelisk. 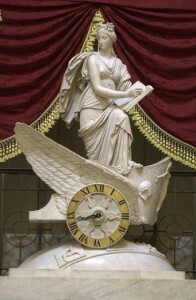 The monument was completed in 1884 and the top design was changed from a flat one to a pointed one. 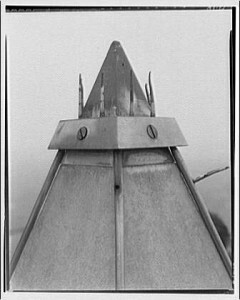 The uppermost top piece (the pyramidion or captstone) is made of 100 ounces of aluminum which acted as the original lightning rod for the monument, at the time aluminum was a rare metal which was as valuable as silver. The four panels of the capstone are etched with several different inscriptions, one of them reads “Laus Deo” meaning Praise be to God. A wide copper band encircles the bottom of the uppermost top piece and holds eight vertical lightning rods. The capstone also has a large hole at the base where a 1.5 inch diameter copper rod can be attached as part of the lightning rod system. 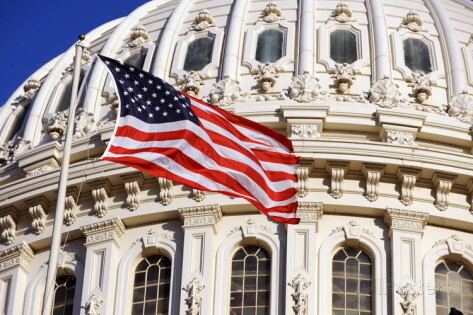 Located at the base of Washington Monument and evenly spaced around the 260 foot diameter circle are fifty 25 foot tall aluminum flag poles which fly the American flags and represent the 50 states. In the past, the flags were removed and stored overnight but since 1971 the flags remain on display 24 hours a day. 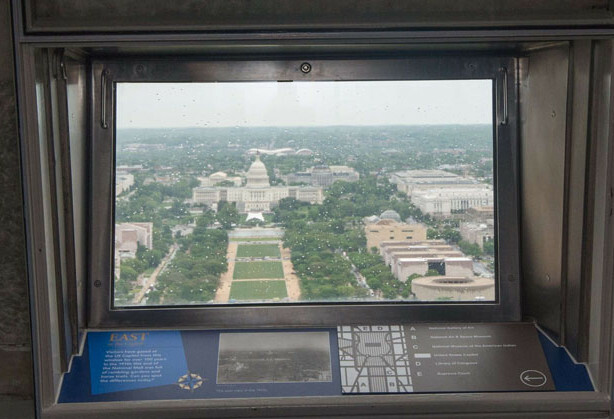 Most recently, in August 2011 the Washington Monument sustained damage from an earthquake that had an epicenter in nearby Virginia. Engineering firms were brought in to assess the monument and the decision was made to close access until the extent of the damage could be determined. The pyramidion was dislodged and there was a 4 foot long crack, several pieces of stone and mortar had fallen within the interior, the elevator was damaged and not functioning properly and there were additional cracks on the exterior of the monument. 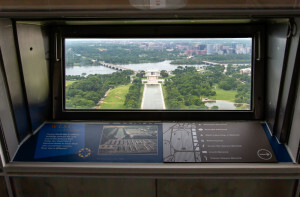 In July 2012, the National Park Service announced the monument closure for extensive repairs that would take two years to complete. A portion of the plaza at the base of the monument was removed to allow better access to build scaffolding around the exterior for the renovation project. 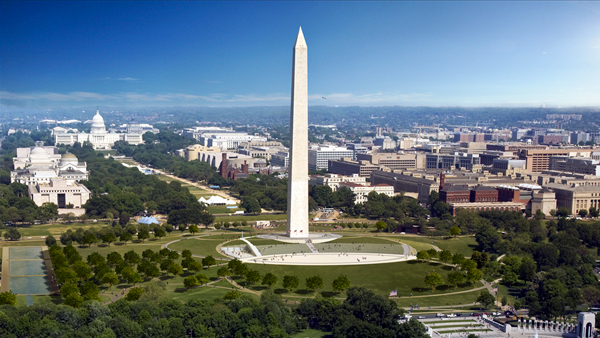 The NPS reopened the Washington Monument when the repairs were completed in May 2014. 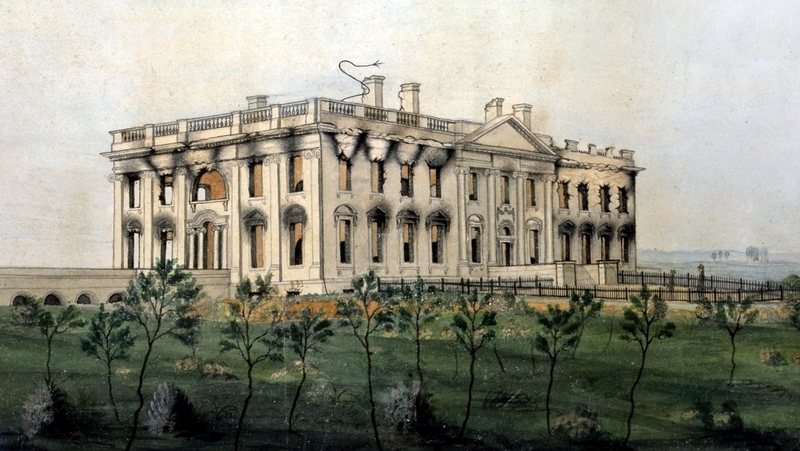 Previously, in Part One of the three part series on the White House I discussed the history and the construction of the White House. 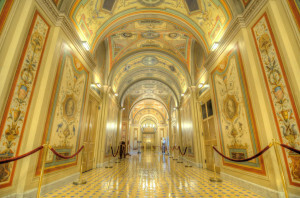 Part Two gave a tour of the various rooms of the State Floor of the White Floor, such as the East Room and Blue Room. 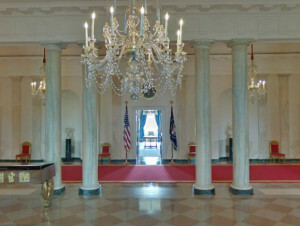 In this post I will give a tour of some of the rooms on the second floor of the White House where the famous Lincoln Bedroom is located and the West Wing which is where the Oval Office is located. Throughout the years constant changes have been made to both the interior and exterior of the White House. 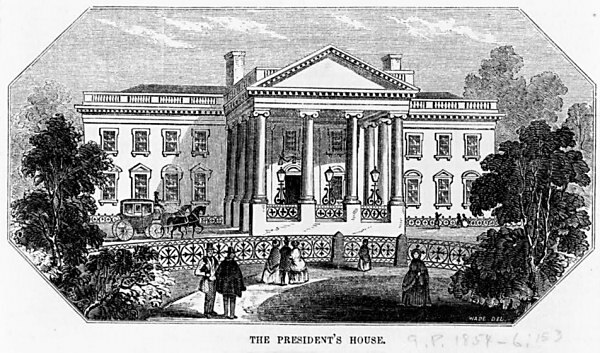 One of the most significant changes to the White House was in 1902 when an addition was built to accommodate separate offices for the President and his staff. 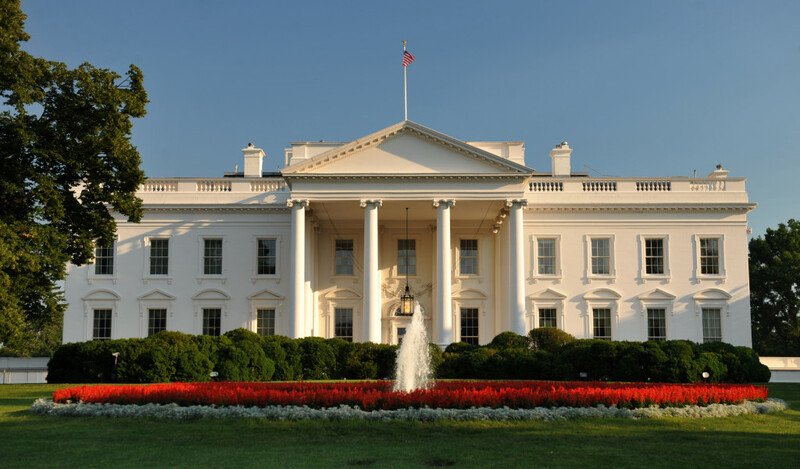 The three story building known as the West Wing is located adjacent to the White House and this directly caused a significant change to lives of the President within the White House. By moving the presidential offices outside the main building it allowed the second floor of the White House to become the private residence of the President and his family during their term in office. Some of the rooms on the second floor of the White House are also maintained for their historical importance, such as the famous Lincoln Bedroom. 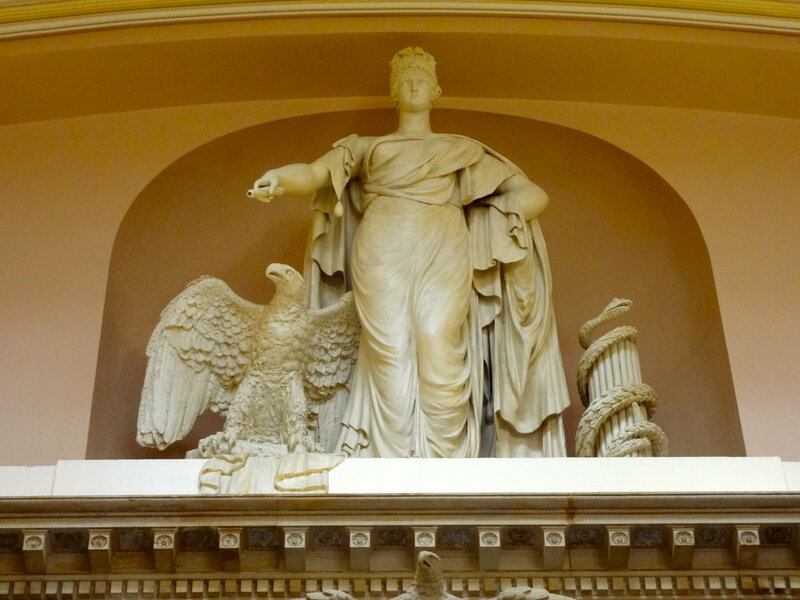 So, let’s get started on a tour of the second floor of the White House. 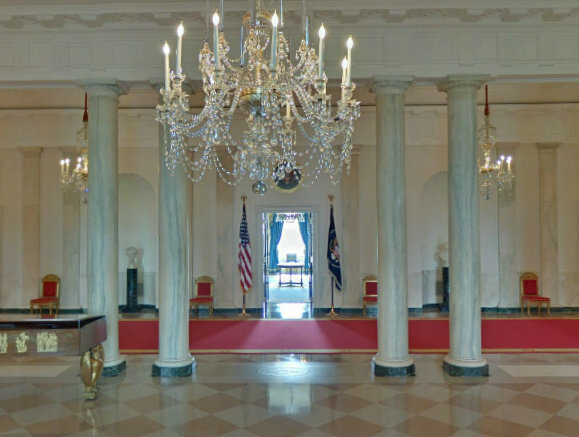 As previously mentioned, the second floor of the White House is the private residence of the President and his family. 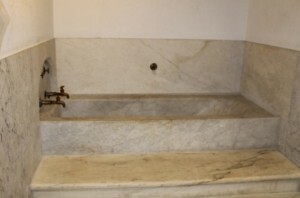 There are a total of 16 rooms on the second floor and must be accessed from a long main corridor. There are several private bedrooms for the President and his family, several guest bedrooms with adjacent sitting rooms and there are 6 bathrooms, a large reception room, a more private living room and a small private dining room with an adjacent kitchen. In general most of the rooms on the second floor are very large with 12 foot ceilings. Each presidential family has made renovations or have redecorated the second floor of the White House to reflect their personal style. Usually the President and his family will also bring personal items from their private homes to create an environment that is comfortable for them. 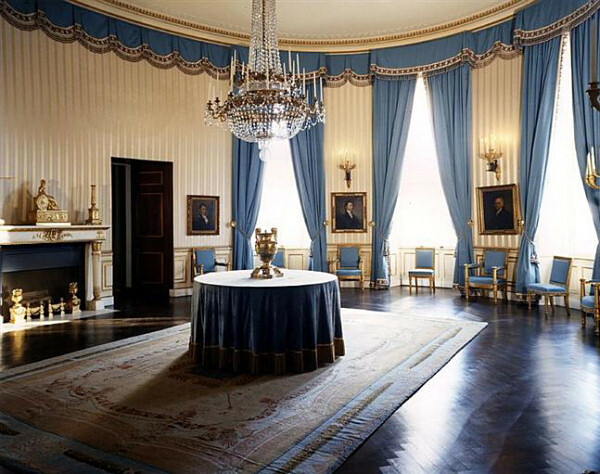 One of the most famous rooms on the second floor of the White House is the Lincoln Bedroom. President Abraham Lincoln did not use this room as a bedroom but as an office. The bedroom that Lincoln actually used during his time in the White House was previously located on the northwest side of the second floor but during the extensive Truman reconstruction of the White House the room was converted into the current Private Dining Room and Family Kitchen. During the time that Lincoln used the room as an office the walls had dark green wallpaper and there was a dark green carpet on the floor. Hung on the walls of the room were various maps that were used to plan military strategy during the Civil War and newspapers, documents and mail were piled on the desk and tables. The room holds great historical significance because it was used when President Lincoln signed the Emancipation Proclamation on January 1, 1893. 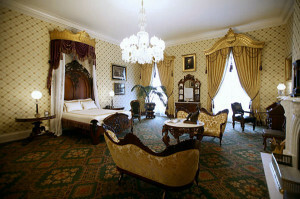 The Lincoln Bedroom and adjacent sitting room are decorated in a Victorian style. The main feature is the large bed is made of rosewood which measures eight feet by six feet and has an elaborate carved headboard which is currently displayed with a reproduction of the original decorative bed canopy. The bed was believed to have been purchased by First Lady Mary Todd Lincoln but unfortunately there is no documented proof that President Lincoln actually used the bed. The Lincoln bedroom is furnished with two sofas and three matching chairs but the most notable item in the room is the holograph copy of the Gettysburg Address that is on display on the desk, it is one of five copies that are signed by Lincoln. Like many rooms in the White House, the Lincoln Bedroom has renovated several times by recent administrations but always in the distinctive Victorian style. Currently the wallpaper on the walls is a cream colored diamond pattern and the lace, silk and velvet drapes used with the bed canopy were inspired by 19th century photographs. A gilded window valance in a Rococo Revival style compliments the bed canopy and new gold draperies were also installed at the windows. 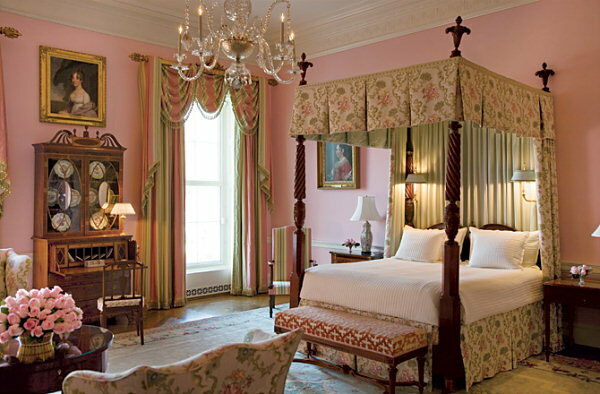 The Queen’s Bedroom is located across the hall from the Lincoln Bedroom on the second floor of the White House. The room received its name from the various royal guests, such as Queen Elizabeth II, that have stayed in the room. 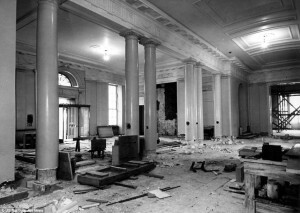 In prior administrations the room was used as a bedroom for private secretaries and the children of the President, the room was previously known as the Rose Room. 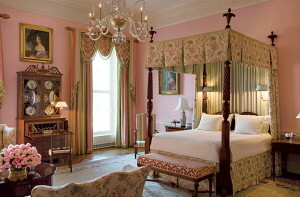 Currently the Queen’s Bedroom is furnished in the Federal style with a bed that once belonged to President Andrew Jackson. 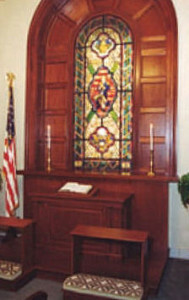 The Treaty Room is located next to the Lincoln Bedroom and is traditionally used as a private study for the President. The room has been the setting for several historical events, such as the signing of the peace treaty to end the Spanish-American War on August 12, 1898 by President McKinley, in 1963 President Kennedy signed the Nuclear Test Ban Treaty and on October 7, 2001 President Bush addressed the nation to announce the start of the Afghanistan War. 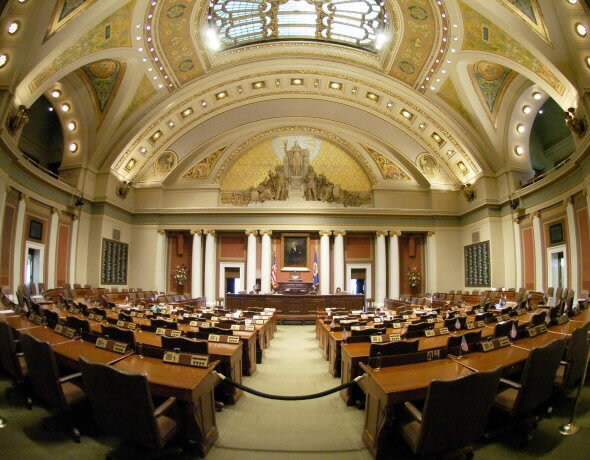 Currently the walls of the Treaty Room are painted an off-white color and the room is decorated with olive green velvet draperies and a Victorian crystal chandelier. 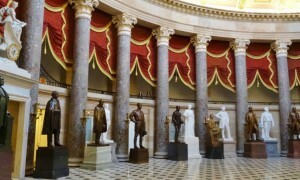 Until recently a large oil painting called “The Peacemakers” by George Healy hung in the Treaty Room, it depicted a meeting in 1865 during the Civil War between President Lincoln, General Ulysses Grant and General Sherman. 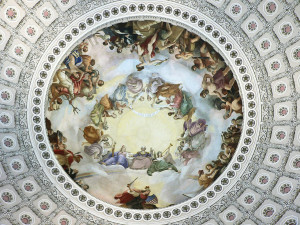 The painting was moved during the Obama administration to the Private Dining Room down the hall from the Treaty Room. 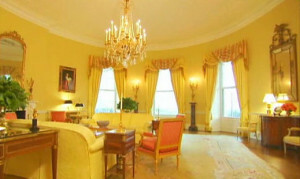 The Yellow Oval Room is located in the center of the second floor of the White House and has three large windows and a door that leads to the Truman Balcony. A set of double doors lead into the President’s private bedroom suite. During past administrations the room has been used as a library, office and parlor. 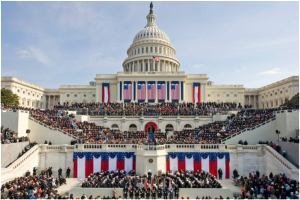 In recent years the room has been used for smaller intimate receptions and primarily for greeting visiting heads of state before proceeding down to the State Dinner. Here are some interesting facts about the Yellow Oval Room – First Lady Dolley Madison was the first to decorate the room in yellow damask. During the Harrison administration the first White House Christmas tree was placed in the room. President Roosevelt was in the room when he learned about the Pearl Harbor attack. 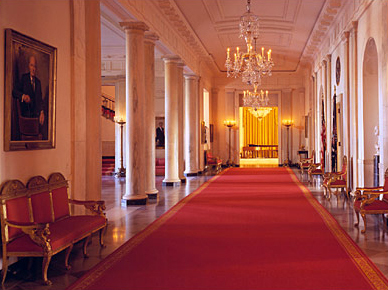 After the Kennedy renovation of the White House the room was officially designated as the Yellow Oval Room. The Yellow Oval Room is frequently redecorated by the presidential family but throughout the years the room’s main color scheme has remained various shades of yellow. The furnishings are in the Louis XVI style with two comfortable sofas, several armchairs, a large Empire chandelier and a collection of antiques. The Truman Balcony is a relatively new feature to the White House and it completed in 1948 during the Truman administration. (hence the name!) When the balcony was proposed the intent was to provide shade to the South Portico and eliminate the awnings that President Truman felt were an eyesore. 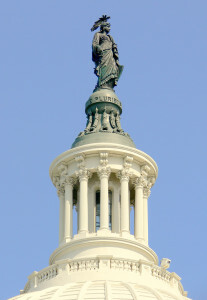 The critics felt that the columns required to support the balcony would compromise the architectural style of the White House. 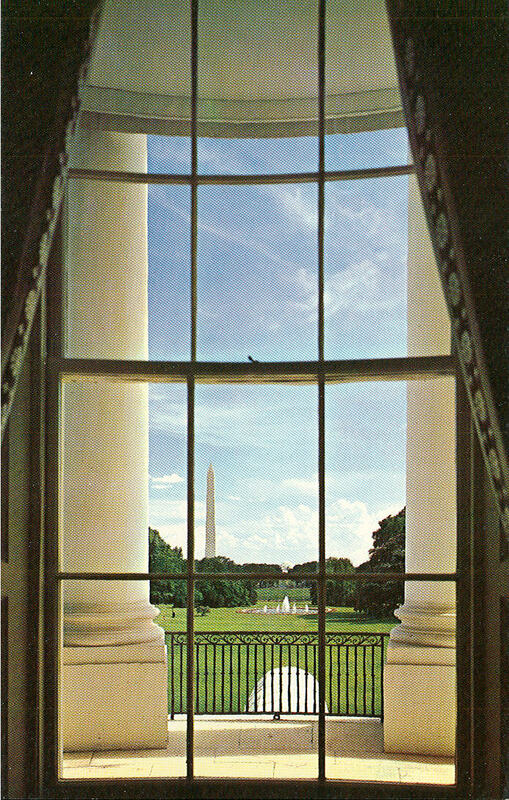 When the balcony was finished the critics changed their minds and felt that it actually improved the appearance of the south side of the White House. Since the 1950s every President and his family have enjoyed the privacy of the balcony and it is used frequently for small informal gatherings. 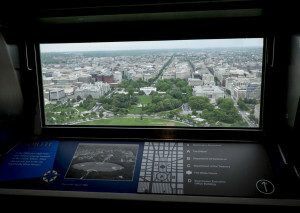 The West Wing is a three story Executive Office Building which is part of the White House Complex. 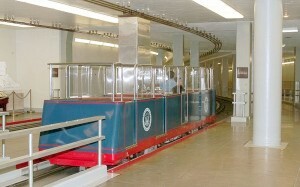 The West Wing contains the Oval Office of the President of the United States, the Cabinet Room and the Situation Room and the offices of the presidential staff. 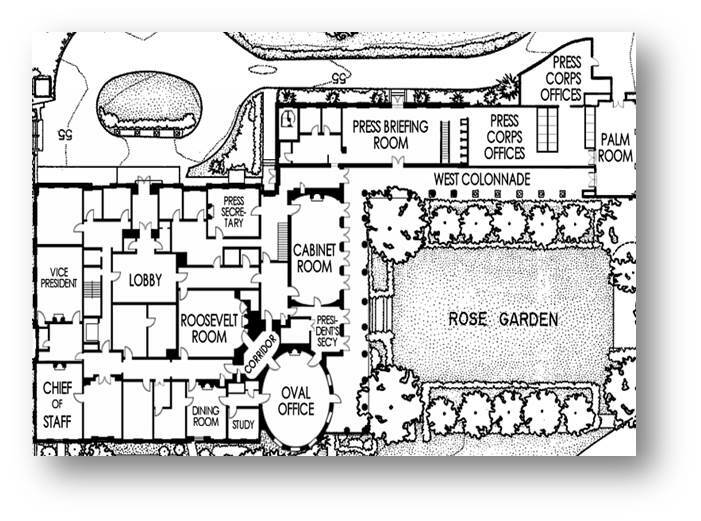 The Press Briefing Room is adjacent to both the West Wing and the White White. 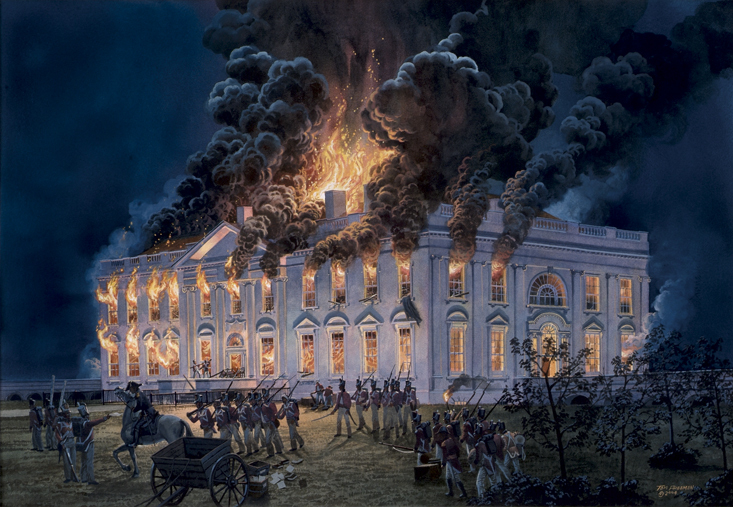 When the White House was first built in 1800 the President and his staff worked on the second floor. During the Roosevelt administration, the presidential staff had grown so large that the rooms in the White House proved to be insufficient. 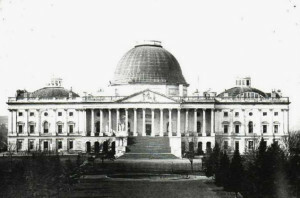 In 1902, the first West Wing was built on the grounds of the White House where the greenhouse and stables were formerly located. 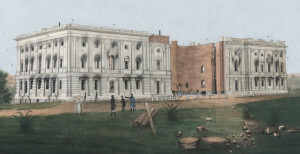 In 1909, during the Taft administration, the West Wing was enlarged and took over the area of the tennis court. 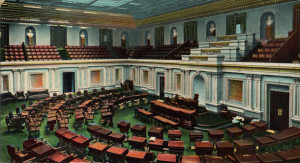 At that time the first Oval Office was built in the center section of the new addition and was designed to duplicate the shape of the oval rooms of the White House. In 1929, the next addition added a basement to the West Wing but unfortunately that same year an electrical fire severely damaged the building. 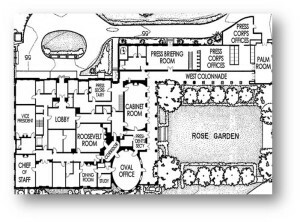 During the Franklin Roosevelt administration the West Wing was completely redesigned in 1933, more office space, a new Cabinet Room and the Oval Office was move to a different location in the building to allow for more privacy for the President. 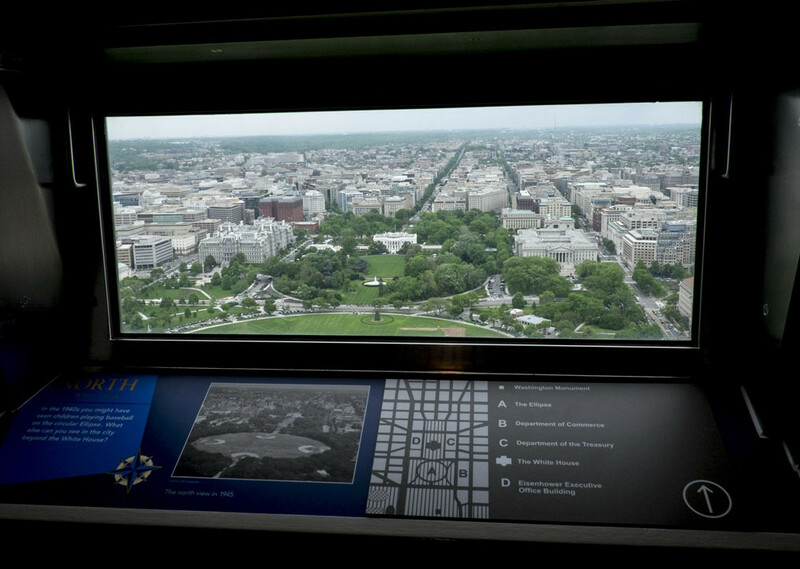 Since this final renovation the Eisenhower Executive Office Building took over the space of the former State and War Department Buildings. Special Note: In the Roosevelt Room located in the West Wing there is a tradition that when a Democratic President is in office the portrait of Franklin Roosevelt hangs over the mantel and when a Republican President is in office the portrait is replaced by one of Theodore Roosevelt. During the Franklin Roosevelt administration a swimming pool was built so that President Roosevelt could exercise as therapy for his disability related to polio, President Kennedy also used the pool several times a day to relieve the pain in his back. During the Nixon administration, the swimming pool was covered over permanently and a new Press Briefing Room was built in its place and it is where the White House Press Secretary gives a daily briefings. 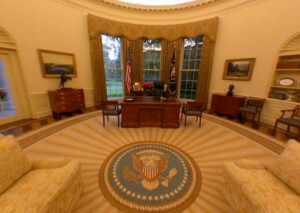 The Oval Office is located in the West Wing and it is the official office of the President of the United States. The room dimensions are approximately 35 feet by 29 feet and the ceiling height is 18 feet. There are three large windows on the south side and on the north side there is a fireplace. The east door opens out to the Rose Garden, the west door into a private study, another door opens to the office of the President’s secretary and the last door opens directly into the main hallway of the West Wing. The tradition of the shape of the Oval Office dates back to when George Washington was first elected and he moved into the President’s House in Philadelphia. He immediately requested that the straight rear wall of the reception room be rebuilt in a semi-circular shape to create a more hospitable room for entertaining. 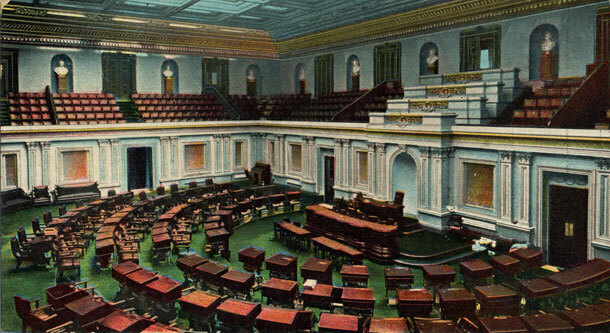 When the federal government moved to Washington D.C. and the White House was specifically designed to incorporate an oval-shaped room. There are actually several oval shaped rooms in the White House, the Blue Room on the State floor which was used for receptions and the Yellow Oval Room on the second floor. 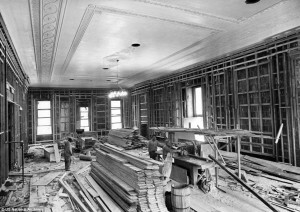 When the West Wing was renovated in 1909 the Oval Office was built as the President’s office to replicate the shaped of the ones in the White House. Every President will traditionally have the Oval Office redecorated at the start of their administration and will select the furniture, drapes and carpet to suit their needs and personal decorating style. The President will also have access to a wide selection of historical artwork and decorative items they can select from the White House collection or can be loaned from museums. In general, the room is usually furnished with two sofas, several chairs, a coffee table and side tables with lamps. One of the main features of the room is the Presidential Seal ceiling medallion and the room is lite by light bulbs hidden within the cornice surrounding the room giving the ceiling a wonderful glow. Another feature that bears the Presidential seal is the oval carpet used in the room. President Truman had the first one made for the Oval Office and it was used by both President Eisenhower and President Kennedy. Recently, most incoming Presidents will have their own carpet made to their specifications and when they leave office it will eventually be installed in their presidential libraries. 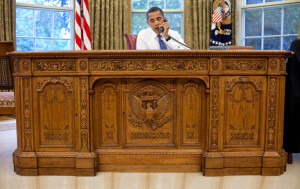 Another item that an incoming President will select is the desk that they will use in the Oval Office. 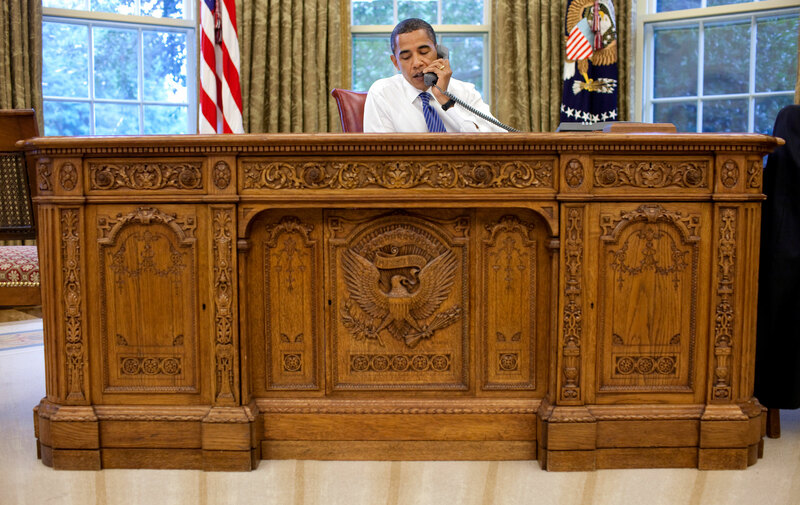 There have been six different desks used throughout the years but the one used most frequently is the famous Resolute Desk. The British frigate, HMS Resolute, had become stuck in the frozen ice of the Arctic and it was abandoned. After it was recovered by an American seaman, it was refurbished and presented as a gift from the United States to Queen Victoria in 1856. It remained in service by the British Navy until 1879. After it was decommissioned, Queen Victoria ordered two matching desks made from the wood of the frigate. The Queen kept one for her use at Buckingham Palace and the other was given to President Rutherford Hayes in 1880. 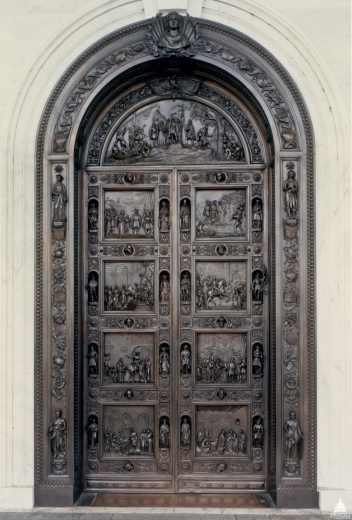 When President Franklin Roosevelt used the deck he ordered a panel carved with the Presidential Seal to make the fact that he was in a wheelchair less noticeable. Of course, there is a famous photo of John Kennedy Jr. peeking through the panel when he visited his father, President Kennedy, in the Oval Office. 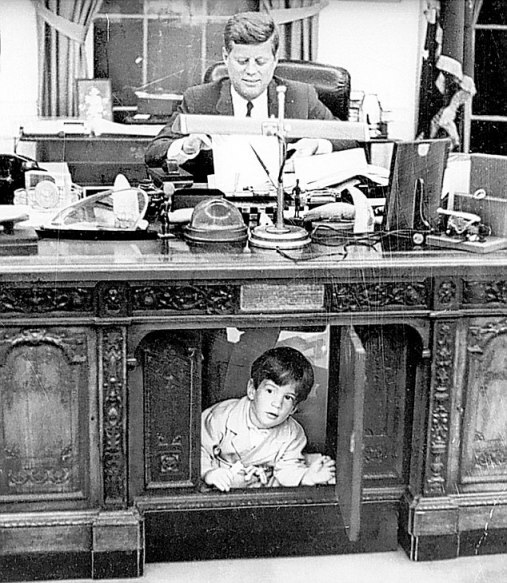 Here are some historical events that have been televised from the Oval Office – In 1962, President Kennedy addressed the nation about the Cuban Missile Crisis. In 1974, President Nixon announced his resignation. In 1986, President Reagan addressed the nation following the Space Shuttle Challenger Disaster. In 2001, President George W. Bush spoke to the nation on the evening of September 11. This concludes the tour of the White House. For more information please click on the other two posts of the three part series on the White House. 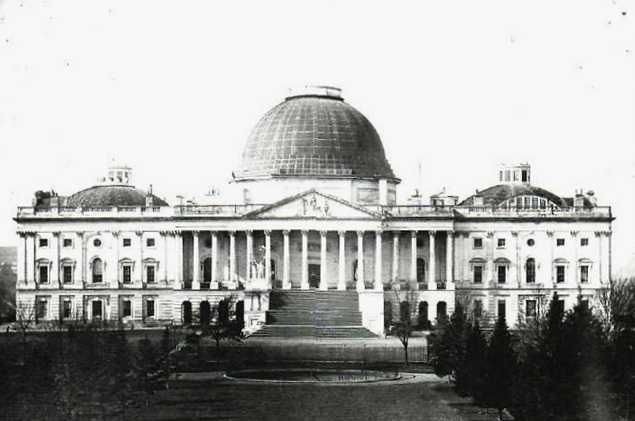 In Part One of the series I discussed the history and the construction of the White House. 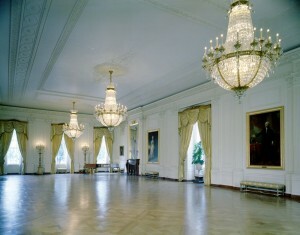 Part Two gives a tour of the various rooms of the State Floor of the White Floor, such as the East Room and Blue Room. The White House has 6 different floors, the Ground Floor, the State Floor, the Second Floor (which is the President’s private residence), the Three Floor and two basement levels. The White House has 132 rooms, 35 bathrooms. There are 412 doors, 147 windows, 28 fireplaces, 8 staircases and 3 elevators. It takes 570 gallons of “Whisper White” Duron paint to cover the exterior of the White House. George Washington might have slept in a lot of different places when he toured the country after being elected the first President of the United States but he is the only president to have never slept in the White House. The White House has been known by many names, such as the President’s House and Executive Mansion. 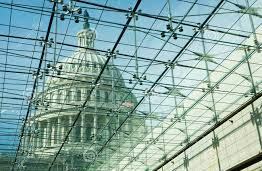 It officially became known as the White House during the Theodore Roosevelt administration and all official government correspondence started to use the name. The White House first had interior running water in 1833, a central heating system was installed in 1837 and electricity was first installed in 1891. The White House Complex covers 18 acres and a crew of 13 full-time staff maintains the grounds and the gardens. 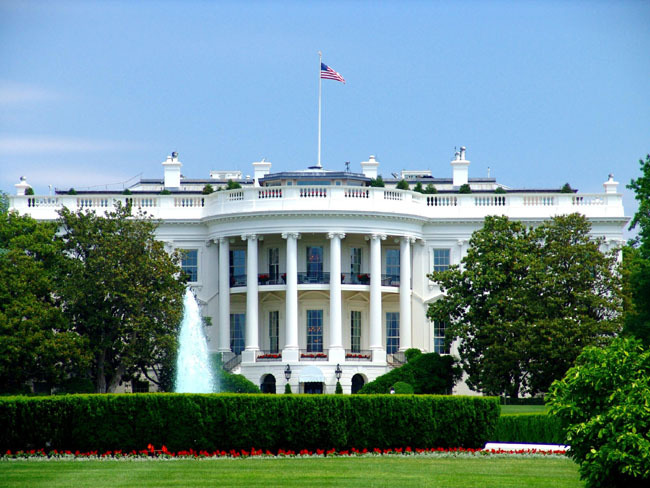 The White House was designated a National Landmark in 1960. The White House appears on the back of the $20 bill. In honor of President’s Day, this post is about the White House (previously known as the President’s House) which has been the official residence of every President of the United States since 1800. 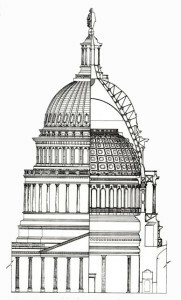 Part One of the three part series on the White House discussed the history and the construction of the White House. 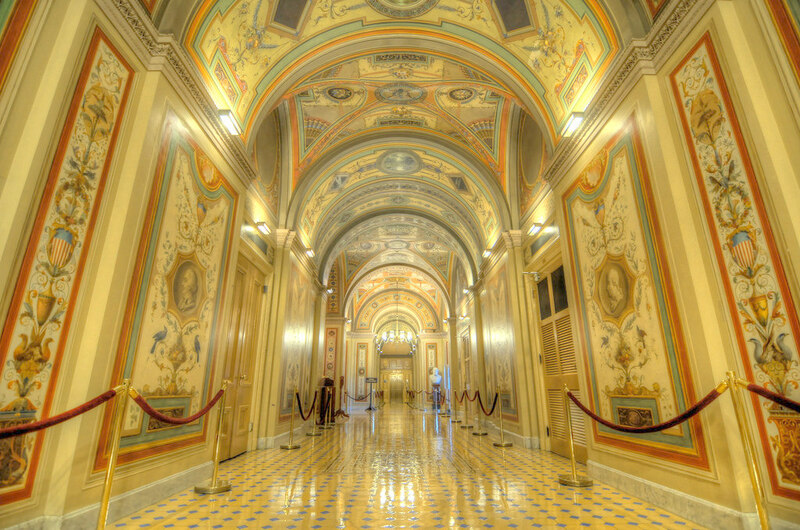 Part Two will give a tour of the various rooms of the State Floor of the White Floor, such as the East Room and Blue Room. In Part Three I will continue with a tour of the second floor of the White House where the famous Lincoln Bedroom is located and the Oval Office which is located in the West Wing of the White House and is the official office of the President. The White House was constructed between 1792 and 1800 in the newly established Federal City (later known as Washington, D.C.) which was being master planned by Pierre Charles L’Enfant. The White House is currently a three story building with two basements. From the north side it appears as if the building has only two floors because the ground floor is hidden by a parapet and a raised former carriage ramp. The North Portico was added in 1830 and it blends perfectly with the Federal Style of the building, this is considered the main entrance to the White House. From the south side all three floors are exposed and the façade has a distinctive Palladian style of architecture with the South Portico which is a bow shaped section that has a double staircase leading from the ground floor to a loggia on the State floor level with the Truman Balcony above on the second floor. The White House has six different levels: the Ground Floor, the State Floor which has the official State Rooms, the Second Floor which is considered the President’s private residence, the Third Floor which includes guest bedrooms and the solarium and two levels of basement rooms. Two colonnades on either side of the main building lead to the West and East Wings. 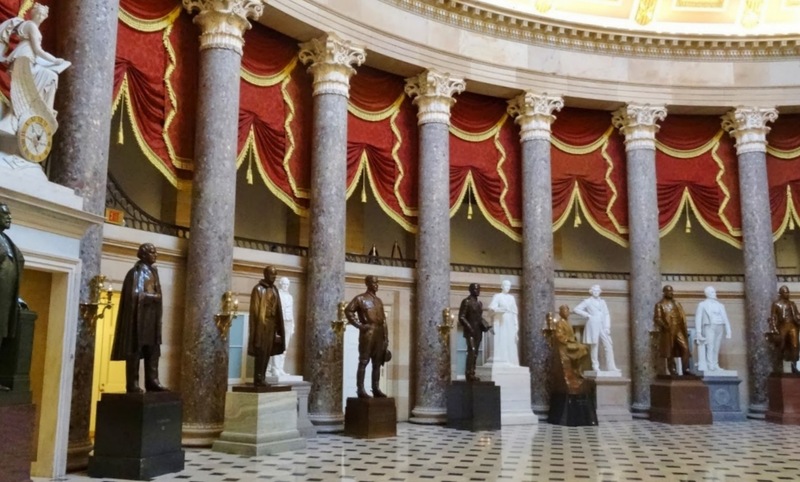 In this post I will be discussing the State Rooms on the State Floor of the White House, some of the rooms on the Second Floor and a brief description of the West Wing which includes the Oval Office. 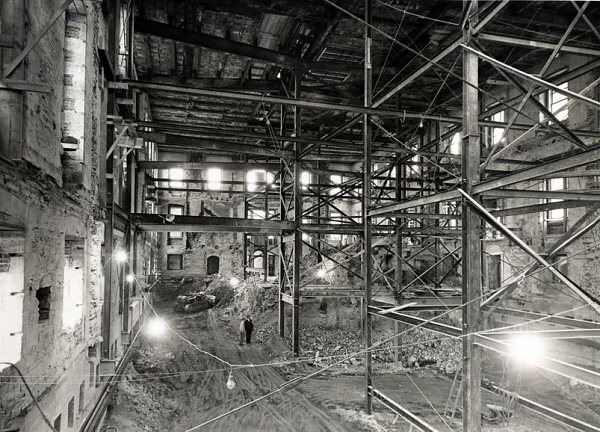 The Grand Staircase is positioned directly across from the Green Room and during the extensive renovation of the White House in 1948-52 the stairway was enlarged and altered to open into the Entrance Hall. 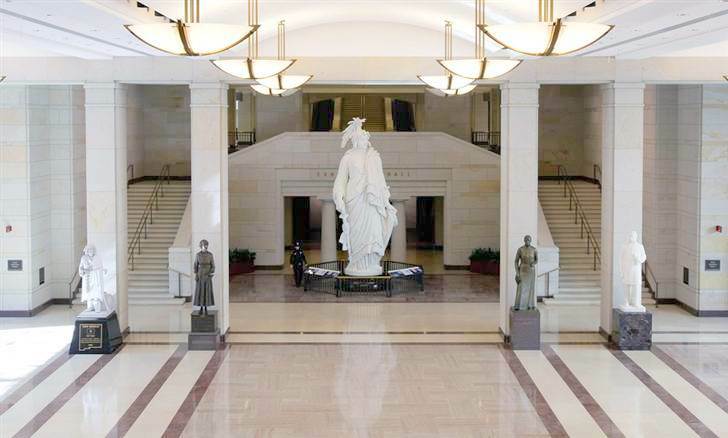 The stairway has a beautiful English cut-glass chandelier and several presidential portraits hang on the walls – Harry Truman by Greta Kempton, Dwight Eisenhower and Richard Nixon by J Anthony Wills, Herbert Hoover by Elmer W. Greene and Warren Harding by Bror Kronstrand. The Grand Staircase is often seen on television during formal ceremonial occasions such as State Dinners. Prior to the dinner, the President has a small gathering for the guests of honor on the second floor Yellow Oval Room and then they will descend the stairs and proceed into the East Room where the other guests are gathered. The Cross Hall is located adjacent to the Entrance Hall and is basically a long open hallway which measures 18 feet by 80 feet. The floor is tiled in gray marble and covered with a long red carpet trimmed with a gold border of laurel leaves and five-pointed stars. The Cross Hall has several gilded chairs and settees upholstered in red fabric and set and these are set against the walls of the hallway. This area of the White House is often seen on television when the President makes official announcements and speeches to the nation. The East Room of the White House is a large room, 80 feet by 37 feet with a 22 feet high ceiling, where many official ceremonies, receptions, concerts and State Dinners have taken place throughout the years. The room has been used by First Lady Abigail Adams to hang the laundry, Meriwether Lewis (the private Secretary of President Thomas Jefferson and leader of famous Lewis and Clark Expedition) used a portion of the room as his bedroom and President James Madison used the room for cabinet meetings. Hanging in the East Room is the portrait of George Washington by Gilbert Stuart which was rescued in 1814 when the British set fire to the White House during the War of 1812 and was returned later when the building was rebuilt after the war. 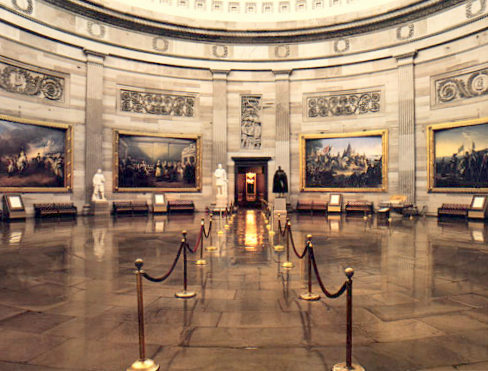 Also in this room hangs a portrait of Martha Washington by Eliphant Frazer Andrews. In 1829, President Andrew Jackson finally completed and decorated the East Room with 24 mahogany armchairs and 4 sofas which were originally purchased by President James Monroe, currently they are upholstered in blue damask silk. 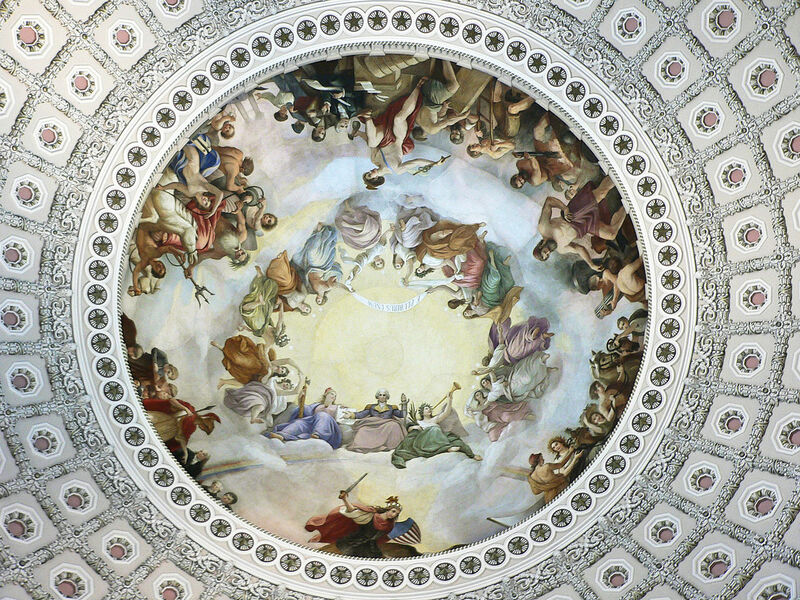 The room was finished with a plaster frieze and three medallions from which three large cut-glass chandeliers were hung, later these were moved to the State Dining Room. 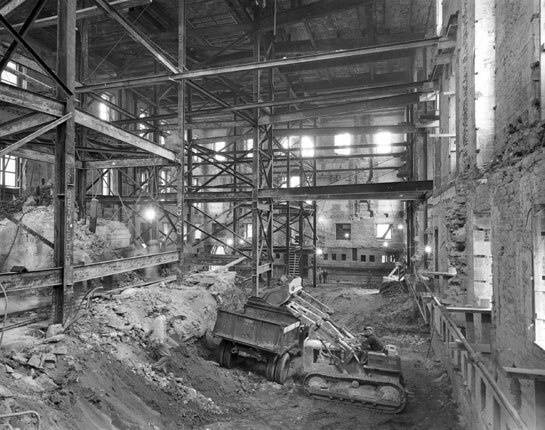 The White House underwent a complete reconstruction during the Truman administration when it was determined that the building was structurally damaged and the rooms of the White House were completely rebuilt and redecorated in 1948 to 1952. 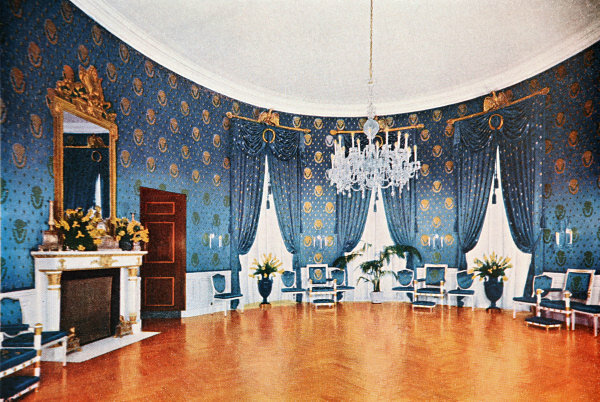 Later, during the Kennedy administration, First Lady Jacqueline Kennedy had the White House extensively renovated, decorated and refurbished but very few changes were made to the East Room. 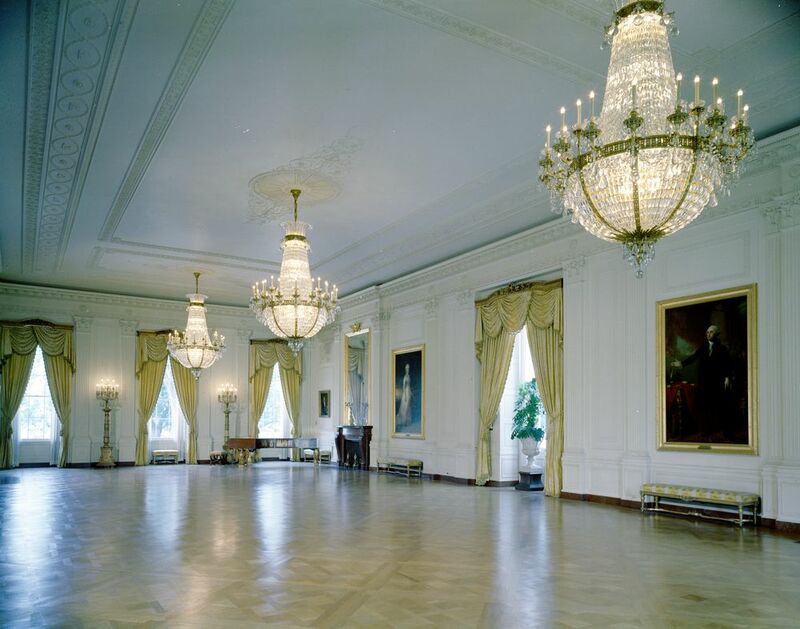 The floor, wall paneling and plaster work was renovated during the Reagan administration, new carpets were designed and installed during the Clinton administration and the East Room was repainted in a soft cream color and new draperies were installed during the Bush administration. 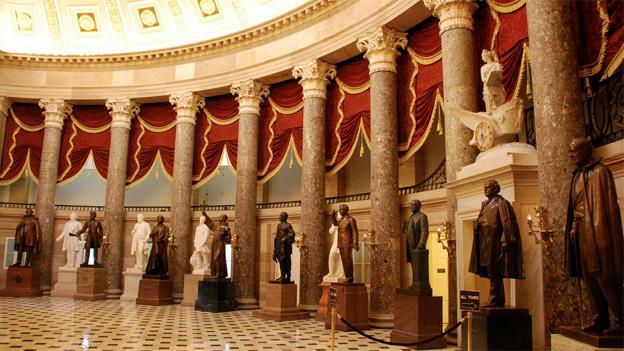 Eight Presidents that have died while in office have been laid in state in the East Room; William Harrison in 1841, Zachary Taylor in 1850, Abraham Lincoln in 1865, William McKinley in 1901, Warren Harding in 1923, Franklin Roosevelt in 1945 and John Kennedy in 1963. There have been several weddings of President’s daughter celebrated in the East Room; Elizabeth (daughter of John Tyler) married William Waller in 1842, Nellie Grant (daughter of Ulysses Grant) married Algernon Sartois in 1875, Alice (daughter of Theodore Roosevelt) married Nicholas Longworth in 1906, Jessie (daughter of Woodrow Wilson) married Francis Sayre in 1913 and Lynda Bird (daughter of Lyndon Johnson married Chuck Robb in 1967. President Dwight Eisenhower took the presidential oath of office in the East Room on January 20, 1957. 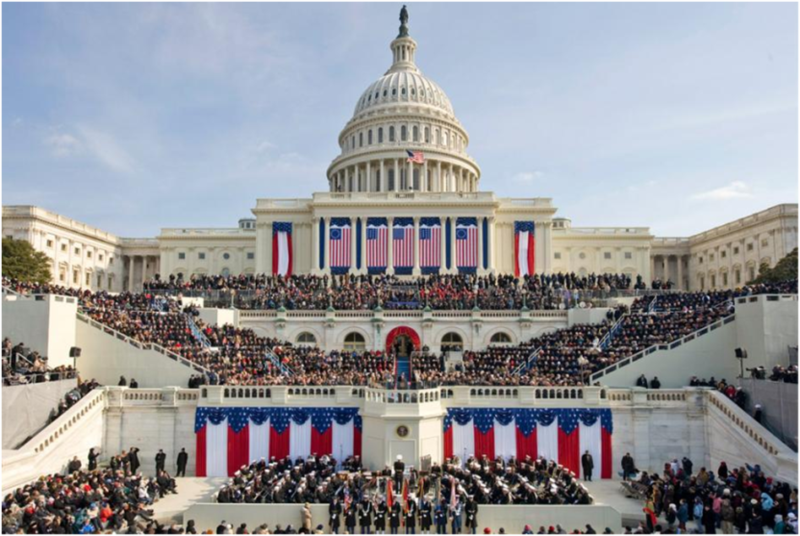 The U.S. Constitution requires the oath to be administered at exactly noon on January 20 and in 1957 the date fell on a Sunday and Eisenhower decided to take the oath privately and the following day a public inauguration was held. 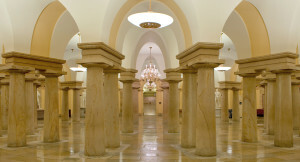 The Green Room is located next to the East Room; the room is approximately 28 feet by 22 feet and can be entered from the Cross Hall, the East Room, the Blue Room and the South Portico. 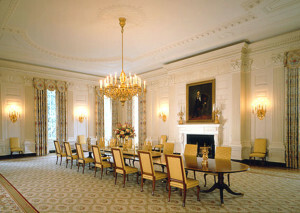 The room was originally intended to be a small dining room and is currently used today for small receptions, formal teas and one of the rooms that that cocktails are served to guests before a State Dinner. 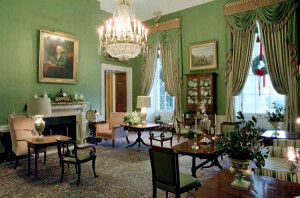 The room has traditionally been decorated in shades of green and throughout the years it has contained French Empire furnishings purchased by President James Madison, then heavily decorated with Victorian furniture and decorative items during the 1900s and eventually replaced with much simpler Colonial Revival furnishings. After the Kennedy restoration, the Green Room was redecorated in the Federal Style with antique and historical pieces, the walls were covered with a moss green silk and the carpet was changed to a softer neoclassical one in shades of taupe, sage green and pink. 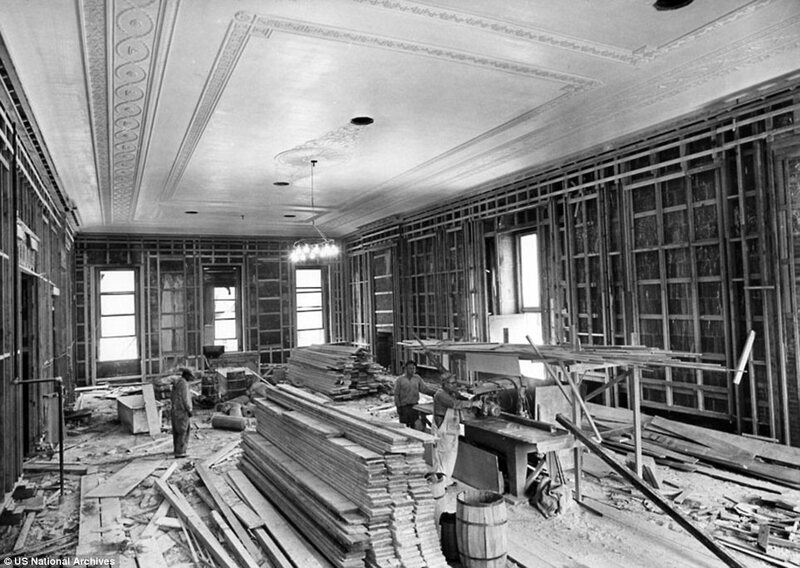 During the Nixon administration the room was renovated with period crown molding and ceiling medallions and decorated with new draperies in striped cream, green and coral silk satin, gilded cornices were installed above the windows to add height to the room and they were topped with hand-carved gilded American eagles. Today the room is decorated with a darker shade of silk moiré wallpaper, the draperies were replaced with ones of a similar style in darker colors, the carpet was also changed and the current Duncan Phyfe sofa and chairs are upholstered in a rich coral color. The Blue Room is located between the Green and the Red Rooms and is used for formal receiving lines, receptions and occasionally for smaller intimate dinners. 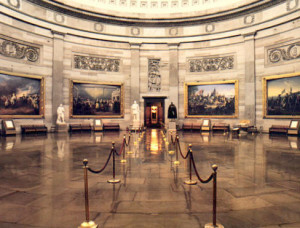 The oval shaped room is approximately 30 feet by 40 feet and has six doors that access the Cross Hall, the Green Room, the Red Room and the South Portico. 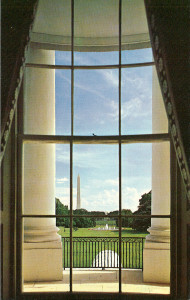 The original design of the White House had the Blue Room as the south entrance hall but during the Truman administration extensive reconstruction the Truman Balcony was built onto the second floor and it now provides shade to the South Portico and the interior of the Blue Room. The Blue Room has the distinction of being the setting for the only wedding of a United States President during their term in office; Grover Cleveland married Frances Folsom in the Blue Room on June 2, 1886. The Blue Room is traditionally decorated in shades of blue, and like the other State Rooms in the White House, it has been redecorated and renovated several times throughout the years. 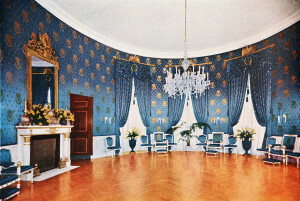 After the Kennedy restoration, the Blue Room was furnished in the French Empire style with original gilded furniture and a marble-top table which was originally purchased during the Monroe administration. The French chandelier made of gilded wood and cut glass returned to the White House during the restoration and it had previously hung in the President’s Dining Room on the second floor. 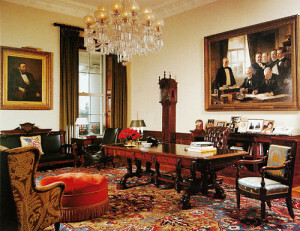 Two items of note are the French Empire style mantel clock by Deniere et Matelin and hung above the sofa on the west wall of the room is a presidential portrait of John Tyler by George Peter Alexander Healy. 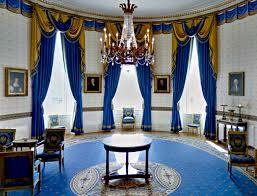 Currently the Blue Room has beautiful sapphire blue fabric used for the draperies and the furniture upholstery which were done during the Clinton administration. The walls are hung with pale yellow wallpaper imprinted with golden medallions and the upper border resembles a faux blue fabric drapery swag. During the holiday season the Blue Room chandelier is removed to make room for the massive official White House Christmas Tree which is displayed annually with ever-changing themed ornaments. 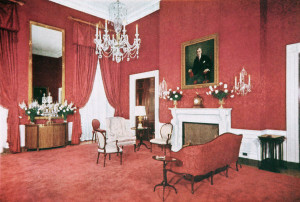 The Red Room of the White House is located next to the Blue Room and the room has functioned as a parlor, a music room and a room for small dinner parties; currently it is used as a reception room. The room is approximately 28 feet by 22 feet and there are six doors that lead to the Cross Hall, the Blue Room, the State Dining Room and the South Portico. During the Grant administration the Red Room was used as a family living room and First Lady Eleanor Roosevelt used the room for her meetings with women reporters, she was the first First Lady to hold regular press conferences. 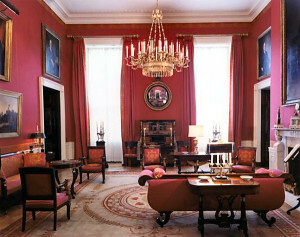 Like most of the rooms on the State Floor of the White House, the Red Room has undergone many decorative changes during the previous administrations. 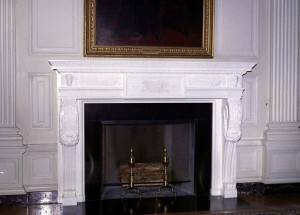 In 1902, the Theodore Roosevelt administration had the 1819 Italian marble mantel from the State Dining Room moved to the Red Room (the second one was moved into the Green Room) During the Truman extensive reconstruction of the White Room, the room was completely dismantled and renovated with red silk damask wallpaper on the walls. One item of note in the Red Room is the Louis XVI style mantel clock which was a gift to the United States from the President of France when the White House reconstruction project was completed. During the Kennedy administration restoration of the White House, many antiques were acquired and the Red Room was one of the first rooms to be renovated in an American Empire style. The room was decorated with red silk upholstered sofas and chairs, new red silk window draperies, a new rug in shades of red, cream and sage green and a 1805 French chandelier made of gilded wood also hangs from the center of the room. The room was also redecorated during the Nixon and Clinton administrations. Currently the walls, draperies and upholstery is a darker shade of red with distinctive gold accents and the most recent addition to the room is a Charles-Honore Lannuier tall secretary desk that was a gift to the White House during its two hundredth anniversary celebration in 2000. The State Dining Room is located next to the Red Room on the State Floor of the White House and it is used as a reception room and the room can accommodate up to 140 guests for luncheon or small dinner parties. In previous administrations the room has been used as an office, library and cabinet meeting room. When in the interior of the White House was renovated in 1902 and the former grand stairway was removed from the west end the State Dining Room was expanded to the current size and the room dimensions are approximately 48 feet by 36 feet. The State Dining Room has a very long dining table used with William & Mary style armchairs and several Queen Anne style side chairs, later during the Truman reconstruction the chairs were replaced with Chippendale style side chairs. Hang from the ceiling is a large silver-plated chandelier and wall sconces; they were later given a gilded appearance during the Kennedy restoration. Also displayed in the room are two large mahogany console tables which are painted ivory and features carved eagle supports. One item of note is the original 1902 fireplace mantel which was restored during the Kennedy restoration and bears a very special inscription. 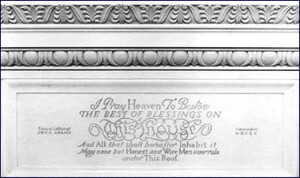 The inscription was taken from a letter President John Adams wrote to his wife Abigail back in 1800 during his first few days of living in the White House, it reads “I pray Heaven to bestow the best of blessings on this House, and all that shall hereafter inhabit it. May none but honest and wise men rule under this roof.” Known as the Adam’s blessing, the inscription was carved into the State Dining Room mantel by President Franklin Roosevelt. Above the mantel hangs a portrait of Abraham Lincoln by George P.A. Healy which was formerly severely damaged but now fully restored. Currently the State Dining Room walls are painted a stone color and the ceiling is painted a soft white color to give the appearance of plaster. The room is furnished with the original long dining table and Queen Anne style chairs which are reupholstered in gold silk damask, new draperies in a colonial Revival floral print were installed at the windows and a rug with a floral medallion pattern covered the floor. Another item of note that is frequently used in the State Dining Room on the long dining table is a beautiful mirrored centerpiece with seven sections that measures over 14 feet in length. During formal dinners and afternoon luncheons the room is set with Chiavari chairs placed around smaller round tables covered with fine linens, glassware, silver and a variety of White House china can be used for the various events. This concludes the tour of the State Floor of the White House. For more information please click on the other two posts of the three part series on the White House. 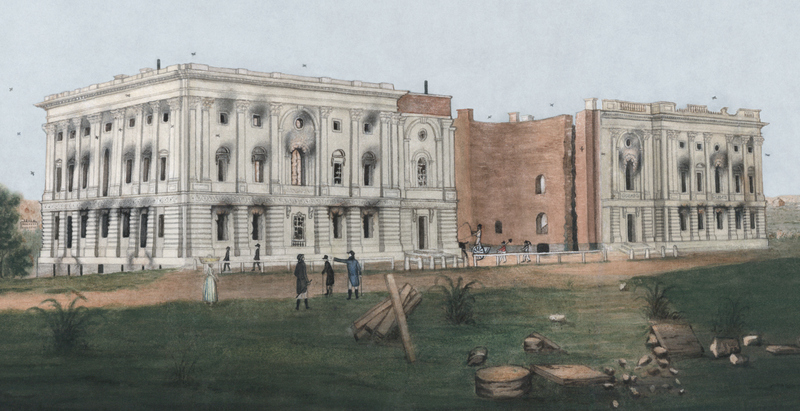 In Part One of the series I discussed the history and the construction of the White House. Part Three continues with a tour of the second floor of the White House where the famous Lincoln Bedroom is located and the Oval Office which is located in the West Wing of the White House and is the official office of the President.